"People in the region around Barcelona eat a lot of duck, and the nearby Penedès region produces excellent birds. 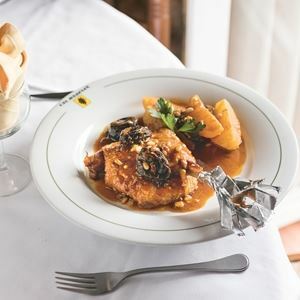 Duck dishes such as this one, which is prepared with prunes, pine nuts and cinnamon, are available year round, even though the ingredients might suggest a Christmas dish." ~ by Stephan Mitsch. Preheat the oven to 160°C. Season the duck with salt and freshly ground black pepper. Heat the olive oil and garlic in a roasting pan over high heat and brown the duck all over. Add the onion, carrot, leek, bay leaf, thyme and cinnamon stick. Deglaze with a little water. Cook on the middle rack of the preheated oven, basting occasionally with the meat juices and adding a little more water as required. After 1 hour, add first the wine, then the cognac and reduce the liquid before adding the diced tomatoes. Cook for another 30 minutes, then remove the duck and vegetables from the pan. Remove the garlic and discard. Pass the vegetables and gravy through a sieve. Return to the roasting dish together with the prunes and pine nuts. Quarter the duck and also return to the pan. Continue to cook for another 10 minutes. Arrange decoratively on a large platter and serve with deep-fried potatoes. 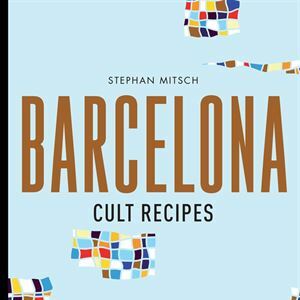 Credits: Images and recipes from Barcelona Cult Recipes by Stephan Mitsch, Murdoch Books, RRP $49.99 Photography by Arnold Pöschl.